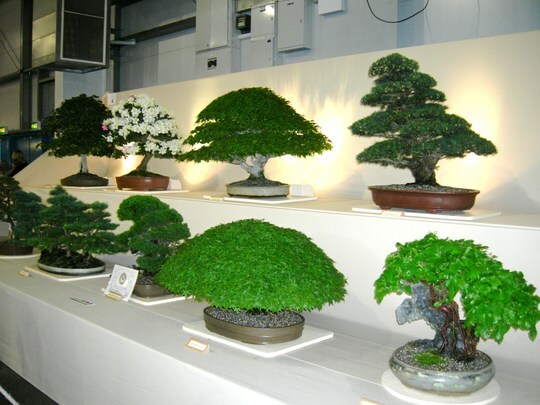 Is this how we should be doing bonsai, Lori? Very little watering involved! I'd still want a giant, outdoor/garden specimen, however. Oh wow!... my favourites are the groupings...I believe the fourth one down is a grouping of conifers...Once saw a grouping of betula..amazing and ancient...even the moss on the rocks was perfect...I love the oriental restraint... a single flower in one corner is the adornment of the whole room/house. The heightened sense of purity...simplicity which is really subtle complexity. Err ...sorry to run on.